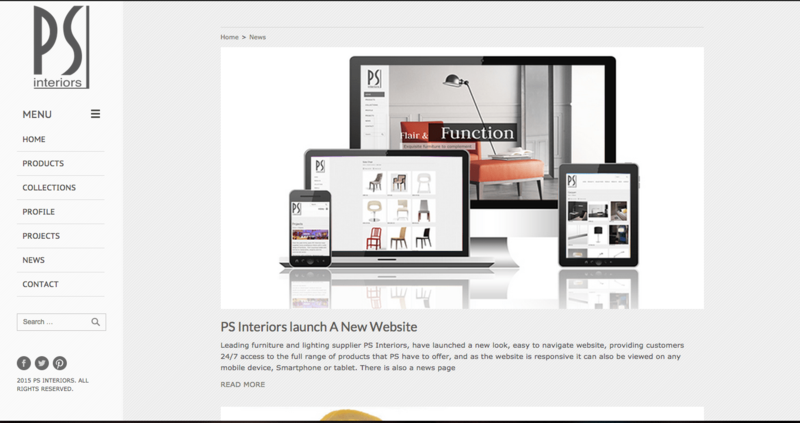 PS Interiors are suppliers of high quality furniture & lighting to the commercial interior design market. 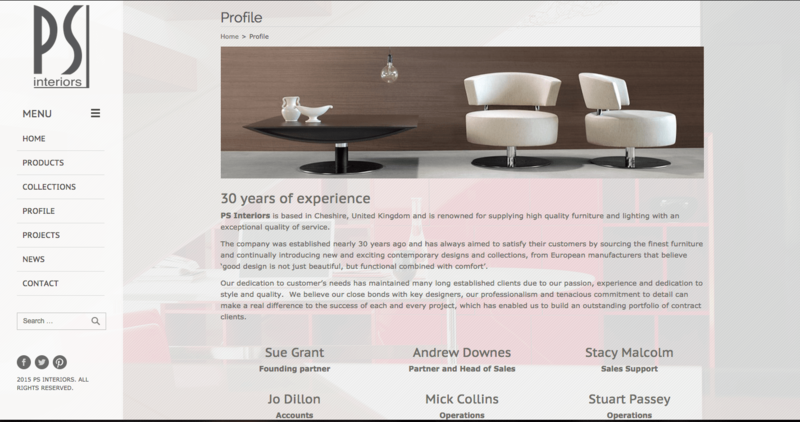 The company requested a new responsive, stylish website that could reflect the quality of the products that they supply, and act as a central point for their future marketing. 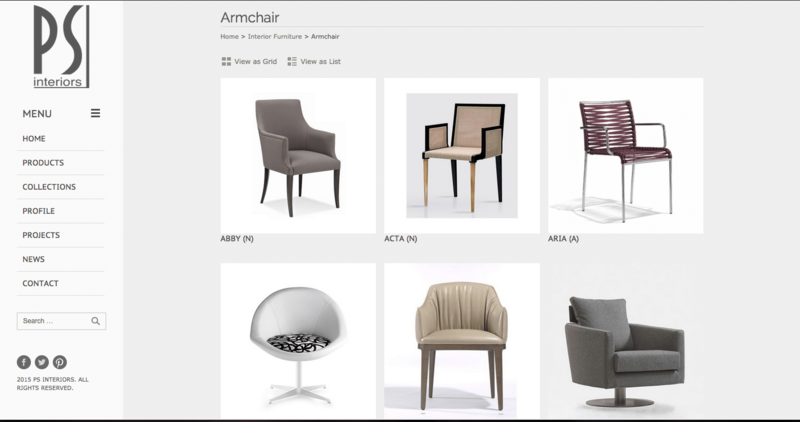 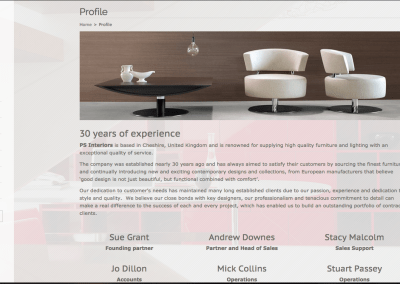 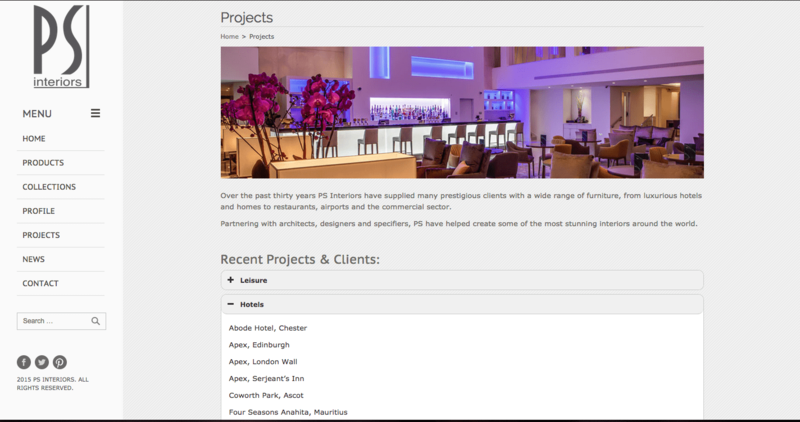 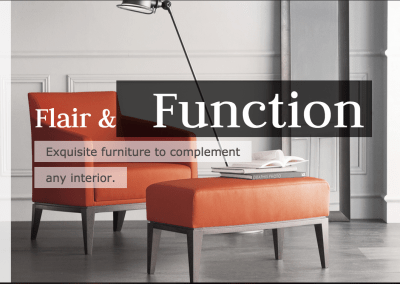 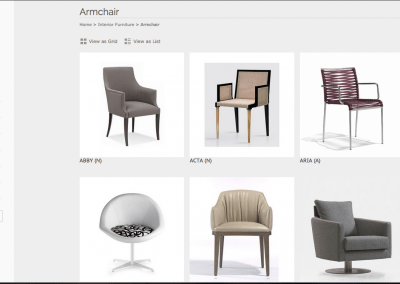 PS are well known in the interior design market for their stylish and contemporary furniture, therefore the design of the new website had to match their customers expectations. 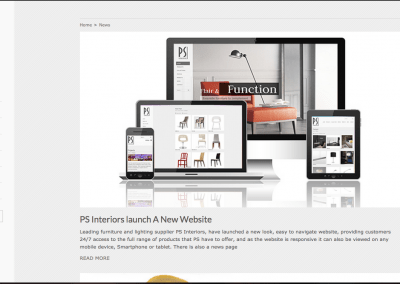 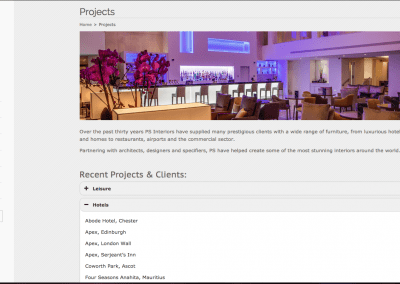 The site was launched in January 2015, and the response PS has received from client’s and buyers is overwhelmingly positive. 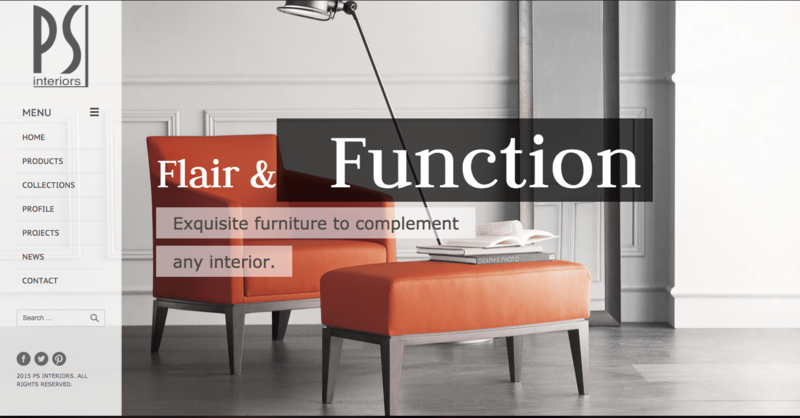 PS Interiors are especially pleased with the comments as it is rare to receive so much positive feedback from the interior designers.